Lilya has over 20 years of teaching experience teaching students of all ages! She is proficient in piano exam preparation. 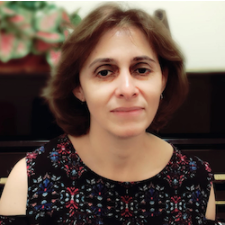 Her teaching process includes piano performance, theory basics, sight reading, and ear training. B.A. in Piano Performance and Pedagogy from Rubin Academy of Music, Tel Aviv University.